Our client company has technology for electronic parking solutions for city streets, airports, parking structures, shopping centers and large corporations and is currently seeking a Project Manager who will supervise and manage the Electrical and Electronic Installers. The PM will have overall accountability for completing assigned projects successfully ensuring quality and financial margin objectives and also provide an excellent customer service before, during and after the installations have been completed. Provide technical specification review and resolution. Plan the works execution to accomplish the quality, deadline and financial targets. Assign, forecast and optimize resources in order to meet project milestones. Liaise with the clients regarding anything that may come up with the execution of works. Prepare proposals/quotations utilizing supplier information, cost standards, technical information from quality, manufacturing engineering, design. Assists in the coordination of pricing, estimating, scoping strategies for completing projects and in the development and preparation of technical specifications. Assists in the preparation of construction cost estimates. Electrical Contractor license or equivalent in experience. Technical degree or equivalent in experience (will be waived if there’s a proven track record). 2+ years of experience supervising electrical and electronic installations. Assignments involve activities requiring knowledge of standard principles and techniques in the electrical trade. Negotiation skills with providers, contractors and customers. Organized, efficient and ready to work with tight deadlines. Experience performing work which involves conventional methods and types of plans, investigations, surveys, structures, or equipment with complex features. Ready to work in international/multicultural environments. 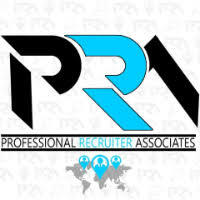 For immediate consideration, please forward a copy of your current resume to don@profrecruiters.com. In the email text please note salary history and expectations, citizenship/visa status, relocation availability, and reference job #6388 and title in the email subject line.